The Philadelphia Phillies have announced that Pat Borders will return for his fourth season as manager of the Williamsport Crosscutters. Last season, Borders led the team to a record of 37-37. He has an overall record of 122-103 and hold the Cutters career mark for wins by a manger. Borders appeared in a total of 1,099 Major League games over 17 seasons playing for nine different teams. He spent the most time with the Toronto Blue Jays (1988-1994, 1999) who drafted him in the 6th round of the 1982 draft. He was the starting catcher for the Blue Jays World Series championship clubs in 1992 and 1993 and was named the World Series MVP in '92 when he hit .450 in the Fall Classic. He also was on the USA Baseball team that earned a gold medal in the Seoul Olympics in 2000, making him one of just four players to have won both a World Series championship and an Olympic gold medal. Joining Borders in the dugout will be pitching coach Hector Berrios and coaches Christian Marrero and Greg Brodzinski. 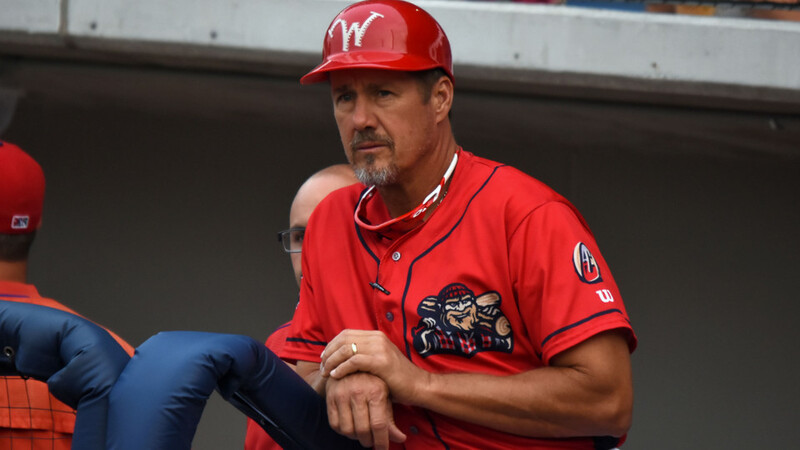 Berrios, begins his 21st year as a minor league pitching coach and his third in Williamsport. Marrero, who hit .277 in 12 minor league seasons from 2006-2017, will begin his first season in the coaching ranks as the Cutters hitting coach. Brodzinski, who also makes his coaching debut, was an 18th-round selection by Philadelphia in the June 2015 draft. He appeared in 5 games with Williamsport that season. Also named to the 2018 staff are trainer Steve Torregrossa and strength and conditioning coach Bruce Peditto. The Crosscutters 2018 opener is scheduled for Friday, June 15 against the State College Spikes. MVP Membership Plans, Bonus Book and mini-plans are now available by calling (570) 326-3389, online at crosscutters.com or in-person at BB&T Ballpark.